The Beyond® B450E is ideal for all conditions and medium sized surfers. 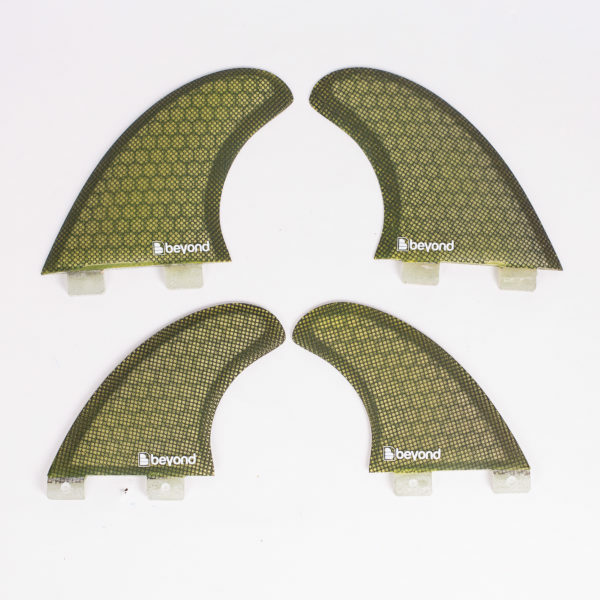 Having a full base and a medium tip, this fin generates speed and drive down the line. CONSTRUCTION – High Performance Honeycomb Carbon. SIZE – medium. BASE – 111 mm. HEIGHT – 114 mm. AREA – 9800 mm. RAKE – 36. Really top quality in a carbon net construction. 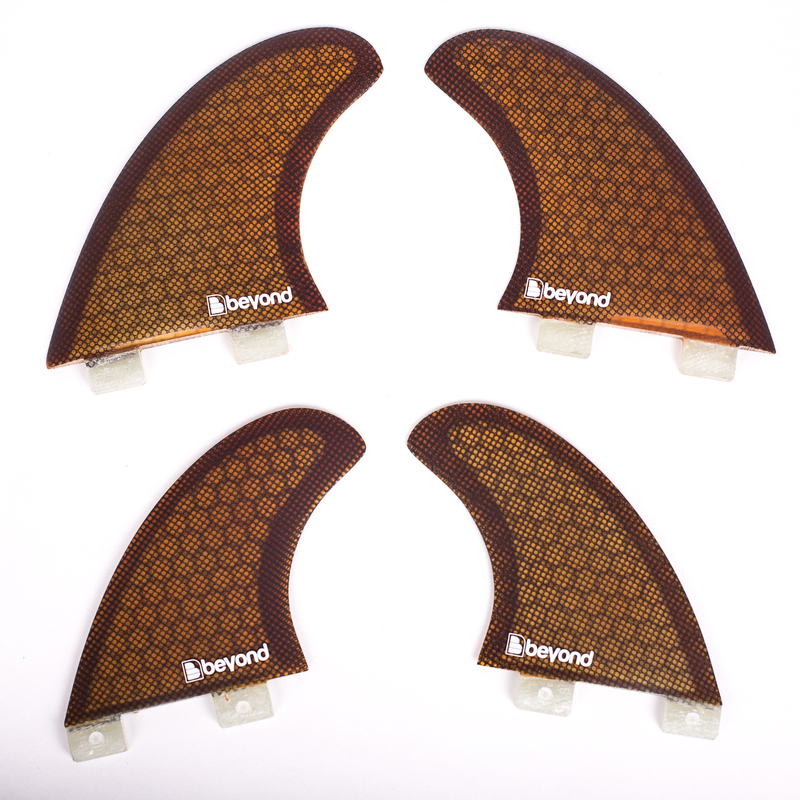 These Beyond QUAD set provides all you need for drive and speed…. The Beyond® B450E is ideal for all conditions and medium sized surfers. Having a full base and a medium tip, this fin generates speed and drive down the line.